Overwatch players have long enjoyed assembling teams featuring the iconic hero Bastion. Soon members of the community will be able to assemble Bastion in real life thanks to a new collaboration between Blizzard Entertainment and The LEGO Group. 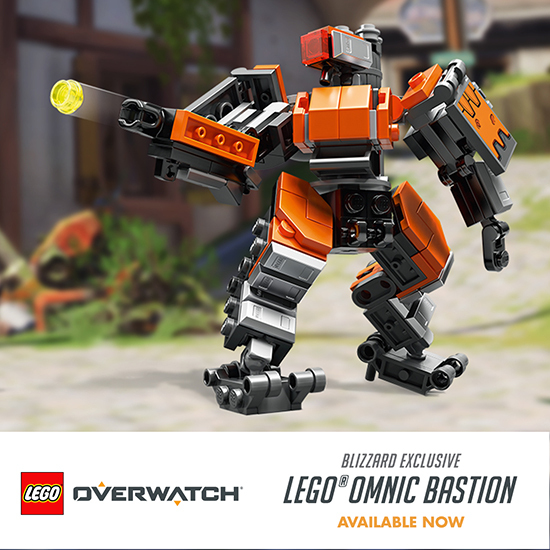 In advance of the launch of a full collection of LEGO Overwatch building sets, consumers can purchase LEGO Overwatch Omnic Bastion on the Blizzard Gear Store starting today for the price of £22.50. Those attending BlizzCon 2018, taking place November 2 and 3 at the Anaheim Convention Center, will also be able to purchase the figure on site.